Grand Theft Auto V is amazing. I’m sure you’d much happier playing it right now than you would be read this, and thanks to the iFruit app you can actually do both. Well, that’s not technically true but at least you can make some in-game progress using the free companion app currently available for iOS (and coming soon to Android and Windows Phone). Not only have Rockstar put their heart and soul into a masterpiece of a video game, they’ve also branched out and appealed to our app-crazy nature with the iFruit app, and an official digital manual to boot. GTA is back, and it’s better than ever! In case you hadn’t realised, GTA V takes a leaf out of its predecessor’s book and equips each controllable character with a cell phone. This is a vital gadget that you can use to save your game, contact in-game characters as well as browse the in-game “Internet”. The choice of branding takes on a form of Apple mimicry, hence iFruit, but there’s also the Drone and a phone that looks rather a lot like Windows Phone’s blocky interface. iFruit is also a real-life downloadable app that rocketed to the top of the App Store charts on September 17th, that fateful day when the world officially got its hands on GTA V. For much of the day, Rockstar’s Social Club was flat-lining, as eager gamers hammered the servers with requests. The iFruit app barely functioned at all, which suggests that if this is just a gimmick, it’s a gimmick that has worked well and that fans are hungry for. The iFruit app uses your Social Club username and password, which is linked to your Xbox Live gamertag or PlayStation Network account. If you played GTA IV, Red Dead Redemption 5 Video Games That Should Be Movies [MUO Gaming] 5 Video Games That Should Be Movies [MUO Gaming] Many modern video games play out like movies, with strong storylines, fleshed-out characters, and action sequences that surely give even Michael Bay pause for thought. And yet when it comes to actually making movies from... Read More or L.A. Noire there’s a good chance you’re already a member of this not-at-all exclusive club, otherwise you can sign up here when the servers aren’t falling over. This real app takes the form of an iPhone springboard type layout, featuring familiar looking icons and a selection of virtual apps as well. It’s these that form the meat-and-gravy of the GTA V companion app experience, and they involve two of the game’s major activities: training your dog Chop and customizing cars. GTA San Andreas introduced a range of options for customising your ride, though it all felt rather empty. While you might have felt pretty good driving around San Fierro with huge lowrider rims and hydraulics, once you had left your car by the side of a road and started a mission there was often little chance of ever seeing it again. This happens far less in GTA V, as each character has their own unique vehicle assigned to them. Once you spend money on a vehicle, it’s “yours” and at worst will be impounded rather than disappearing alogether. This introduces an element of consistency with regards to the vehicles you drive, and with it a reason to spend your dirty money on over-the-top modifications. The LS Customs app on your smartphone allows you to do just that, regardless of where you are. Launch the app and you’ll see your current vehicle as well as stats and available upgrades. You can pretty much customise anything and everything here, from paint to wheels and even the licence plate. Throw together a custom job and hit the Order button for the changes to be sent to the game. Licence plates can only be changed once, so pick wisely (and cross your fingers someone else hasn’t taken it). The licence plate you pick will be used in both GTA V and the multiplayer GTA: Online element of the game, and so has to be completely unique. The other iFruit app available at launch is Chop The Dog, a tamagotchi-like experience in which you look after and train one a four-legged lump of muscle called Chop. In addition to throwing his ball and feeding him, you’ll have to clean up his “movements” and buy him collars if you want him to behave for you on the streets of Los Santos. This is actually the only somewhat mandatory element to the iFruit experience – from what I’ve been able to gather so far, Chop won’t necessarily become any more useful unless you train him via this method. You can also teach chop new tricks, which again are reflected in his in-game abilities. It’s a nice touch, though it seems to have irked some non-iOS users who can’t access this portion of the GTA: V experience on launch (though it’s not going to ruin anything for anyone, this is a truly incredible game regardless of companion app availability). If you do teach Chop a new trick or two, he can then perform them in-game but only if his happiness level is high enough. This means you’ll have to whip out your iPhone then feed, clean and walk him to have him sit on command or offer you a paw in the game. While neither of these virtual apps are massively groundbreaking, the fact that Rockstar have bothered bringing our personal devices into the mix is worth noting. They have built a platform for growth, and could easily add additional virtual apps for many of the various activities found throughout Los Santos and Blaine County. It goes without saying that the team are probably already working on the first DLC installment, and it would be surprising if they didn’t somehow tie-in their iFruit technology too. At the moment, iFruit isn’t quite as useful as Forza Horizon’s use of Microsoft SmartGlass to show you a dynamically updating map. Then again it beats the lacklustre Halo implementation of a few boring statistics. SmartGlass also doesn’t let you contribute to your game from your office at work while your console is off at home, but for the sake of your employer maybe that’s a good thing. I’d personally love to see an AmmuNation app for perusing and upgrading weapons on the fly, and some sort of YouTube parody would provide a great way to enjoy many of the game’s original media outside of your living room (Kung Fu Rainbow Lazer Force, anyone?). This is all surplus to requirement though, because as I may have already let on: GTA V is stunning. The rest of the app provides a browser-like experience to elements like Lifeinvader (the GTA equivalent of Facebook) where you can “stalk” companies for discounts, a link to the Rockstar store as well as the Social Club and mobile versions of GTA III and GTA Vice City. You can actually enjoy Lifeinvader from any browser simply by logging in with your Rockstar credentials and visiting Lifeinvader.com. Don’t fret non-iOS users: as an iPhone owner, my iFruit experience has been fraught with difficulty as everyone tries to download, login and discover the many layers of satire that Rockstar have so carefully prepared. The official line is that Android and Windows Phone apps are “coming soon” – decidedly vague, but ultimately promising and by that point the servers will surely be less strained. If you have an iPhone or iPad, you can download the iOS app here. Android and WinPho apps might even be up by the time you read this, but the only way to find out for sure is via Rockstar’s website. Android users should beware of fake iFruit apps that have been posted to the Play store, too. 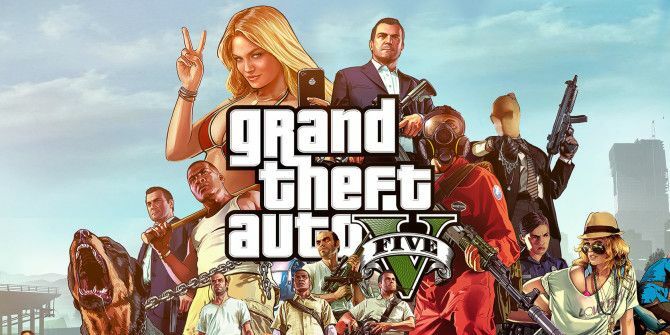 Has your life been completely eaten up by GTA V too? Have you tried iFruit? Gimmick or game changer? Let us know what you think, below. Great post. I think this is a game-changer. The iFruit app engrains the game further into the conscious of the users. There's virtually no end to which other big-time games can use apps: mini-games, user-submitted gameplay videos, strategy tips from the developers, etc. Gamers can be very passionate about their favorite titles, and that means they are likely to explore all of the ways to enjoy them. I actually wrote about this same topic on my company's blog. We represent mobile app developers, so that was my angle. Give it a look, and let me know what you think, if you want.